The childhood favorite, PB & J, blended into a protein shake! A perfect cool down treat! This is one of our go-to morning shakes/smoothies. I like to drink it post-run or post- workout, but I’ve also been known to blend it up for an afternoon treat. Especially after a hot day at the pool, when I’m starving but really just want something refreshing! It’s thick and creamy, and chalk-full of peanut butter goodness. With a hint of jelly. Just like a classic peanut butter and jelly sandwich only in an ice cream/smoothie/shake form. But this doesn’t really have jelly in it. The “jelly” is actually dried prunes. It might sound strange, but you’ll just have to trust me on this one and give it a try. Place everything in blendtec and press smoothie button. And if you’re looking for some other great summer smoothies and shakes to keep you cool this summer, I’ve got a bunch for you. But first, you might just need a new Blendtec Blender to blend them up in. Agreed?? I’m a monthly contributor over at I Heart Naptime and the The I Heart Nap Time Creative Team has teamed up to give away a Blendtec blender, valued at $450, for one of YOU lucky readers! 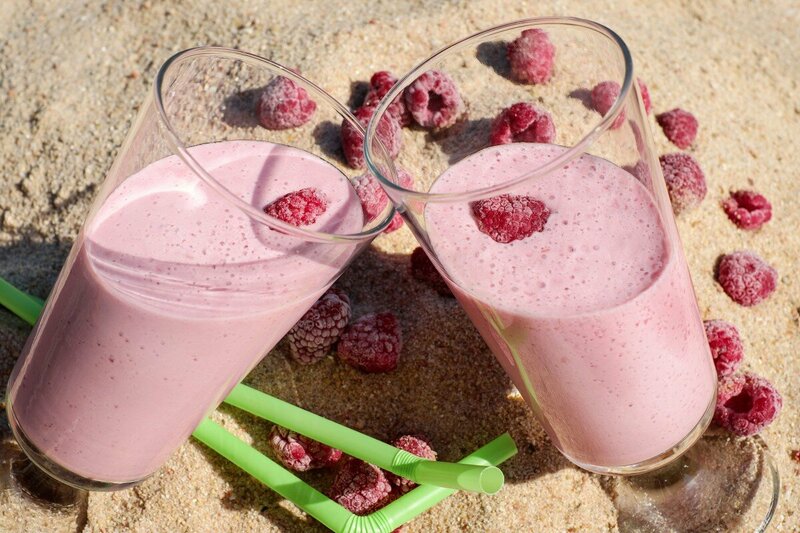 We thought we’d give you a whole board full of Smoothie Recipes to choose from! Check out the variety of smoothie recipes below and then enter to win your very own Blendtec blender using the Rafflecopter widget at the bottom of the post! So many great recipes! Be sure to stop by the blogs above and check out all their fun recipe ideas! Enter to win the Blendtec Giveaway using the Rafflecopter code below. Note that winners must be 18 or older to win and must reside within the United State. Facebook is in no way affiliated with this giveaway. Giveaway winner will be chosen via Rafflecopter and will be notified via email if they won. They will have 48 hours to respond to the email before a new winner is chosen! Good luck! LOVE THIS! I kid you not Kellan’s favorite thing to snack on right now is prunes. And we used to have smoothies every morning for breakfast. Time to get back into that habit and this will be the perfect way to get us there. Are you ready for another giveaway? I’ve teamed up with an amazing group of bloggers to host a Blendtec Blender Giveaway! One lucky winner is going to win a Blendtec Total Blender. Entering is easy, all you have to do is pin the image, follow the bloggers on pinterest, and use the rafflecopter widget below.